I ran across the story of Raju late last night and it truly broke my heart. In the midst of all the tragedies in the world, I do not discount those that affect our wildlife. Raju suffered 50 years of torture and abuse but on July 4th he celebrated his own Independence Day. 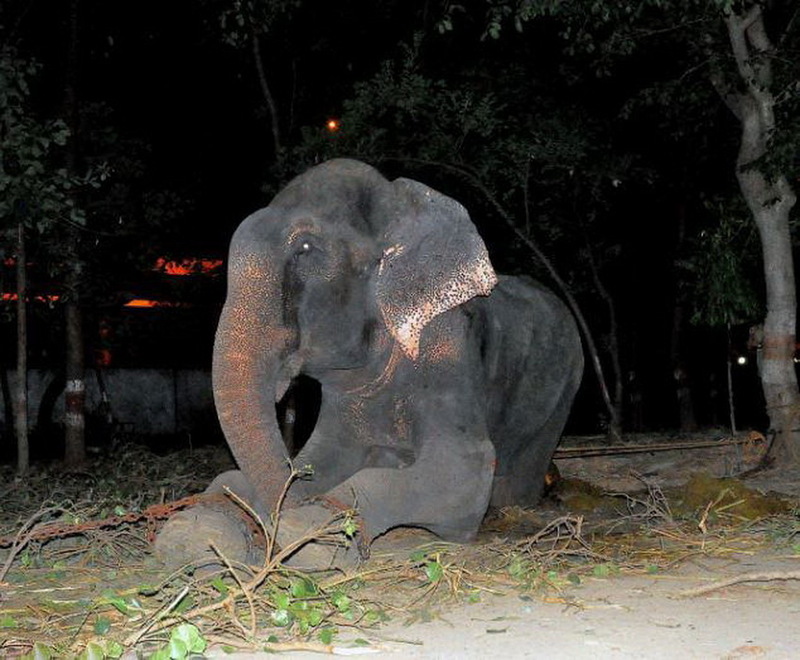 Rescuers witnessed the elephant crying out tears of pain and joy at the thought of being freed from his captors. My heart was so heavy reading the story and tears literally flowed while watching the rescue video but I just had to share. We all have a soft spot for certain causes. There are people who are passionate about children and education. Some are passionate about preserving the earth and the importance of recycling. And then there are those that have a passion for supporting the health and well-being of wildlife, and all animals for that matter. If you’re walking this earth and have never been passionate about anything outside of your little bubble, you’ve been depriving yourself from experiencing true satisfaction in knowing that your life has been a service to someone else. I’ve always been an animal lover. I can’t even watch anything animal related unless it’s guaranteed that whatever it is survives. I’m still scarred by watching the movie “Turner and Hooch” as a small child (Lol). Anyway, I’m doing my part in sharing this truly remarkable story in hopes to aide in raising financial support for his recovery. If you have it in your heart to donate you can do so by clicking this link www.wildlifesos.org/donate. It’s stories like this that truly break my heart but at the same time I can rejoice at Raju’s second chance at life. I simply could not let this story pass by without bringing attention to the efforts being made to rehabilitate Raju after 50 years of pure hell! Can you imagine enduring something like this for 50 years??!! Check out the story and click the link to donate! It’s Tuesday with Bianca! Let’s make it happen!